After years of ambiguity, Israel is increasingly going public with its strikes on Syria. Retaliatory attacks carried out last week were conducted in broad daylight, a rare occurrence. In contrast to prior strikes, the Israeli Defense Forces (IDF) immediately took responsibility for the attacks and announced them in real time on twitter. This change in policy, according to Intelligence Minister Yisrael Katz, is due to the fact that Israel is intensifying its attacks against Iranian “terror ambitions” in Syria. At the same time, Israel’s lifting of the veil on its fight against Iran reflects a new regional geopolitical reality. The change in military tactics coincides with the Assad regime’s definitive survival and – with that – an increased entrenchment by one of the regime’s preeminent supporters: Iran. Amid the recent announcement of a U.S. military withdrawal from Syria and challenges over his military tactics, Israeli Prime Minister Benjamin Netanyahu has focused on beefing up his security credentials in an effort to both secure his re-election and put Iran on alert. Israel’s intensified strategy toward Syria is indicative of a change in regional geopolitics. The recent appointment of a new IDF chief of staff is symptomatic of this. Similarly to his predecessor, Israel’s incoming military chief, Aviv Kochavi, is bent on interrupting Tehran’s military expansion in Syria. Kochavi, however, faces a very different political reality than his predecessor, Gadi Eisenkot. Kochavi, according to the Saudi newspaper Elaph, once advocated for the removal of Syrian President Bashar al-Assad. With the help of Iran and Russia, Assad now appears to have secured his regime’s survival, including reclaiming large swaths of land previously held by Israeli-funded rebel forces in the country’s south. The changing facts on the ground have led many countries to conceptualize ­– and brace for ­– engagement with a post-civil war Syria under Assad’s rule. The Gulf Arab states have been seeking to re-admit Syria to the Arab League, eight years after expelling Damascus over its brutal repression of peaceful protests against President Assad. Last month, James Jeffrey, the U.S. special representative to Syria, indicated – for the first time – that regime change was no longer part of the U.S. policy agenda, instead demanding a “compromise” on the part of the Damascus government as a prerequisite for the U.S. to engage in reconstruction efforts in government-held territories. While Israel has refrained from actively trying to shape the outcome of the Syrian war, its goals are designed to curb Iranian clout – no small feat given that Assad’s survival, in large part, was buoyed by support from Iran. In recent months, Iran and its proxies have expanded their military networks in Syria; Islamic Revolutionary Guard Corps officers and Hezbollah fighters now possess long-range missiles that are technologically superior to prior arsenals due to their range and precision. In its efforts to curb further Iranian incursion, Israel previously looked to Syria’s other main backer, Russia. In the wake of the Syrian army’s return to the border region, Israel and Russia fleshed out an agreement that would keep Iran and its proxies 100 km away. Nevertheless, increasing tensions between Israel and Russia over activities on the Syrian warfront and reports that Syrian forces on the border are subordinated to Iran and Hezbollah cast doubt on Russian President Vladimir Putin’s ability – and willingness – to constrain Iranian activity. The recent public acknowledgement of Israeli military intervention comes at a particularly important time in domestic politics. Netanyahu, who is seeking re-election in April, is implicated in a series of corruption scandals. In his bid to become the longest sitting prime minister, Netanyahu and his Likud acolytes have sought to reaffirm his security credentials following public criticism over the prime minister’s dealings with Hamas, which led to the resignation of Defense Minister Lieberman in November 2018. A few weeks prior to the announcement of early elections, Netanyahu – as defense minister – launched operation “Northern Shield” to eradicate Hezbollah’s cross-border tunnel network in northern Israel. While the operation did not affect Tehran’s ability to weaponize its most powerful proxy, Israel hopes that the uncovering of an extensive tunnel network will garner sufficient international legitimacy to complete a northern border wall and reduce Hezbollah’s ability to launch a surprise attack. For now, Tehran’s reaction to Israeli strikes has remained fairly muted. Iran’s launch of a massive set of drills involving 12,000 units in late January to assess “the structure of Iran’s ground forces” primarily fits an oft-employed tradition of displaying military might as a means to deter rivals. Hassan Nasrallah, Hezbollah’s leader, offered a more explicit warning to Israel. 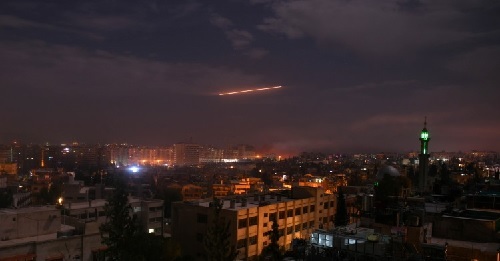 In a rare interview with the Lebanese television station al-Mayadeen, Nasrallah claimed that the “resistance axis” – namely Syria and Iran – might change their reaction to Israeli strikes, including by bombarding Tel Aviv. While Hezbollah’s threats and intentions cannot be disregarded, the fact that the interview came in wake of the destruction of the organization’s cross-border tunnels does suggest an additional necessity for bravado.